Offering everything from high-speed Wi-Fi to game zones, these workspaces are a welcome break from the regular offices or even the buzzing cafes. 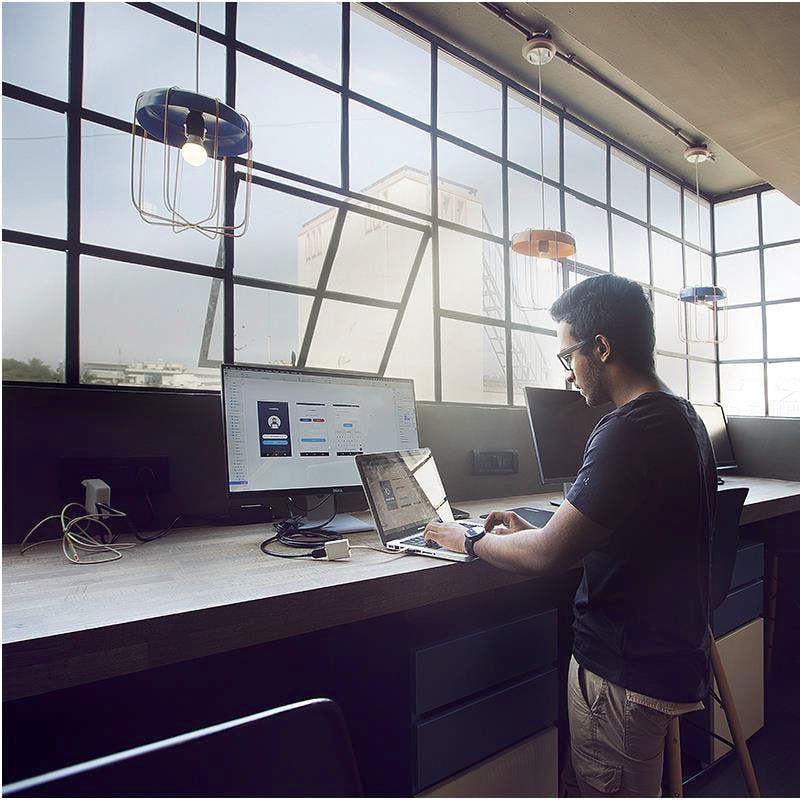 With hot desks, dedicated meeting rooms, and host of amenities that include pools and gaming zones, here's our list of co-working spaces and office in Koramangala. Just on the main road adjacent to Hosur Road, Innov8's spacious co-working space features two open terraces, nap rooms, a pool for you to relax after a long day, and a foosball table and table tennis area. Hot desks and dedicated desks are popular amongst the various freelancers since rates start at INR 7,500. You can also ask for day passes. Meeting rooms are fully equipped and you can book it out for INR 600 per hour. Offering a co-working experience with a difference, Commune Coworks is spread over four floors. The place has a ‘classic meets funky’ design with open and shared workspaces, private offices, conference rooms, gaming areas and even an event space. Oh, and each floor is designed according to themes like The Garage, The Cafe, The Workshop, The Studio and The Terrace. From private cabins for big teams to hot desks for freelancers, this co-working space in Koramangala has it all. They have two co-working offices, one next to Forum Mall and the other next to the Passport Office. The Passport Office hub features a rooftop cafe and themed meeting rooms. Functional workstations, conference rooms, and gaming zones are available at both the hubs. Regular events and connecting with a community of like-minded individuals are added a bonus. More than just your regular cafe, Dialogues also doubles up as a library and a workspace. And, the best part? All you need to pay for is the time you spend here! So, go ahead and read a book when you need a break from work, or munch on some of their snacks along with a cup of coffee, all for free. Done up in vibrant shades and boasting of a beautiful rooftop seating, they also have a boardroom for official meeting and interviews. Freelancers, workaholics, entrepreneurs, and work-from-home people, Koramangala Social is where you can mix work with alcohol (or not. We are not judging you). Social Works is open five days a week from Monday through Friday from 11 am to 6 pm and you can take all the facilities that the space offers including the fact that the entire amount is redeemable on food and drinks when you’re at work.